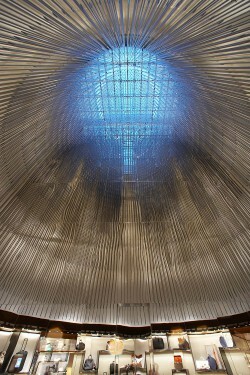 Located at the apex of the voyage within the Louis Vuitton Champs Elysees building in Paris, the six-story atrium sculpture created by Eric Carlson is a truly remarkable ethereal dome of stainless steel, reflection and light. 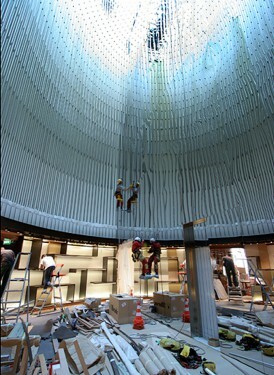 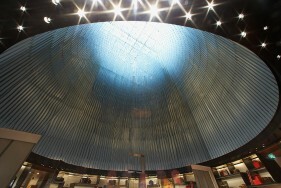 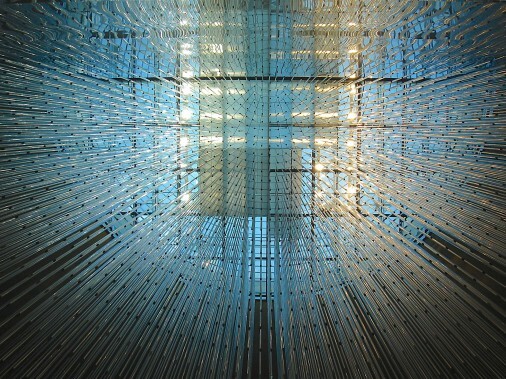 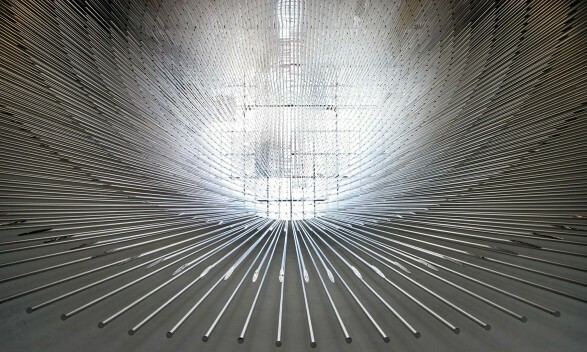 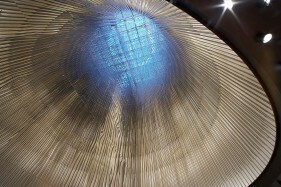 Suspended below the 20 meter high atrium skylight, 1,900 stainless steel rods are sliced at the ends to define a virtual parabolic half-dome of polished oval shaped pixels. 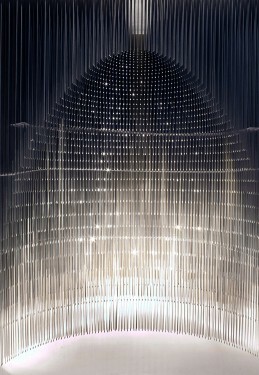 Positioned at the diameter of the half-dome Eric placed a six-story wall of mirror polished stainless steel plate to reflect the skylight and half-dome of raining rods and luminous points to creating an awe-inspiring pure virtual dome.